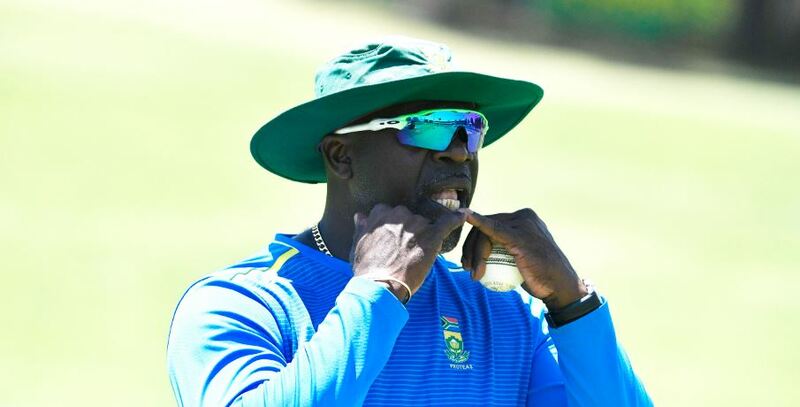 Head coach Ottis Gibson’s future with South Africa after the World Cup remains in the balance. Gibson succeeded former head coach Russell Domingo in August 2017. His contract with Cricket South Africa will end after the global showpiece in the United Kingdom – and might not be renewed amid reported interest from the England and Wales Cricket Board. ‘We had a positive talk with Ottis. He is open to continuing but it is for the board to evaluate his performances and decide if they are happy with what he has achieved so far‚’ Times LIVE quoted Cricket CSA chief executive officer Thabang Moroe as saying. ‘If they want changes‚ they will sit with him and it is also up to him to look at the new terms that will be in front of him. He could also say I am not agreeing to the terms of the new contract. ‘He is still employed by CSA and from a management point of view we did discuss his contract with the board. So‚ one is waiting for a directive from the board in terms of how to move forward but he remains employed by CSA. ‘When Ottis was hired‚ he was hired to win the World Cup. At the very least‚ the chairperson of the board asked if he could qualify for the final. ‘That will augur very well for us but one will have to wait for the board because the coach is a board appointment. Discussions have already taken place from management point of view but it is for the board to come back to us. South Africa’s World Cup campaign will start against England at The Oval in London on 30 May.